MidwestUX 2018 will challenge us to advance UX through curiosity, collaboration, and integrity. Join us for three days in Chicago as we inspire and challenge one another with the fresh perspective that comes from cross disciplinary conversation. Each year, the MidwestUX team is dedicated to building a tight-knit community around digital design within the host city. We understand that it’s not always feasible to dedicate hundreds of dollars over the course of multiple days in order to attend a conference. Excursions are offered as a way to get similar learning and networking opportunities as a conference, without the expense and lengthy time commitment. This year, the excursions will be held the afternoon of Thursday, October 11th​. MidwestUX 2018 will be held in Chicago from Thursday, Oct 11, to Saturday, Oct 13. Our home base is Chicago’s Lakeview neighborhood, and our main venue is the historic Athenaeum Theatre. Check out our website for the full conference schedule and information about planning your trip. General admission tickets grant access to all conference programming except for pre-conference workshops and excursions. Thursday, Oct 11, 17:30 – 20:00. Friday, Oct 12, 19:30 – 21:00. Saturday, Oct 13, 19:30 – 22:00. Pre-conference excursions take place on Thursday afternoon, October 11. Because space is limited, excursions require a separate ticket purchase. Excursions will take attendees to experience locations throughout Chicago. Big thank you to our friends at Centralis, who are providing round trip transportation for our excursions! Thursday, October 11, 2018, 13:30 – 14:45. Come learn how The Duck Inn — one of the South Side’s destination restaurants — serves up an impeccable experience. Meet Brandon Phillips, one of Chicago’s best barkeeps, and learn about all of the factors he considers when crafting an experience for a diverse clientele. $85 includes: Drink pairing with appetizers, hospitality experience seminar, and transportation to/from The Merchandise Mart. Transporation costs have been discounted thanks to our friends at Centralis. Thursday, October 11, 2018, 13:50 – 16:20. Spark curiosity on our tour of the most unique book collections Chicago has to offer. Our journey will have four stops — The Dial Bookshop, Build Coffee, Rebuild Foundation’s Stony Island Arts Bank, and Pilsen Community Books. On this excursion, we’ll browse the collections and speak with the people who brought them to life. $25 includes: $5 coupon for any store, drink/snack @ Build Coffee, a donation to Rebuild Foundation, and road drinks back to The Merchandise Mart. Pickup will be at The Dial Bookshop, drop off will be at The Merchandise Mart. Transporation is included and has been sponsored by Centralis. Have a hand in Green Star Movement’s collaboration efforts by helping to bring a community-driven mural to life. Green Star Movement works with local students, organizations, and volunteers to design and create public art throughout the city. Their process builds teamwork and self esteem while revitalizing urban neighborhoods. $50 includes: A mosaic lesson, mural participation, art supplies, and transportation to/from The Merchandise Mart. Pre-conference workshops take place from 09:00 – 17:00 on Thursday, October 11. Because space is limited, workshops require a separate ticket purchase. Workshops will be held at a handful of locations in downtown Chicago. Transportation information and support for workshop attendees will be provided in advance of the conference. 09:00 – 17:00, Thursday, Oct 11, 2018. 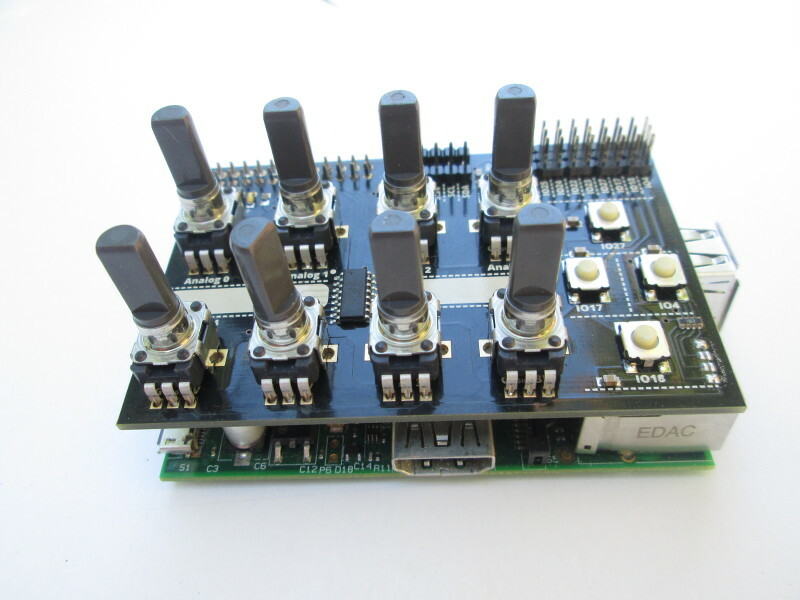 Learn how to take prototyping to the next level using Raspberry Pi and PureData. Walk away with a new perspective on Interaction Design, a new musical instrument, and your very own Sonic Interactions Pi Kit. In this workshop facilitated by our closing keynote speaker Kim Goodwin, you’ll learn tools for better leadership both at the organizational level and in one-on-one conversation. In this workshop, Kavitha Krishnan will help you get firsthand experience of what it’s like to participate in — and lead — a design sprint based on the five-day design session used by the team at Google Ventures. 09:00 – 12:00, Thursday, Oct 11, 2018. Kevin Heubusch will lead this workshop on how information is exchanged everywhere in our designs, in moments large and small. You’ll explore how a thoughtful, strategic, and systematic approach to communicating can enrich every phase of our work—from research to design to developmen — creating content that is relevant and actionable. In this workshop, Stefani Bachetti will introduce the concept of moments-based research and why it’s fundamental to digital ethnography. Then, she’ll walk through a primer on the why, when and how of adopting this methodology. This workshop is presented by dscout, Chicago’s leading qualitative research platform. dscout’s customers use its innovative web-based analysis platform to derive tremendous customer insight–and tell customers’ stories using videos, photos, and quantitative data. 14:00 – 17:00, Thursday, Oct 11, 2018. Mike Gorgone will lead an interactive ImprovUX workshop where UXers will focus on listening to understand and suspend judgment as well as learning to identify the strongest ideas and build on them through supportive collaboration. 14:00 – 16:30, Thursday, Oct 11, 2018. Join AnnaRose Girvin and Gavin Morrissey for an exploration of emerging VR prototyping tools and an exercise in using VR as a storyboard visualization tool in the design process. 2936 N Southport Ave, Chicago, IL 60657, USA.